Become part of an exclusive group of like-minded singles who are keen to meet you! Blue Label Life is a professional matchmaking service and Dating Agency that brings together the best professional and elite singles looking for love in Sydney and Melbourne. Our elite singles know they’re a catch but can’t find the time in their busy schedules to date. That’s why we provide a 100% quality matchmaking & dating service and one-on-one date coaching that help our clients to finding long-term true love. 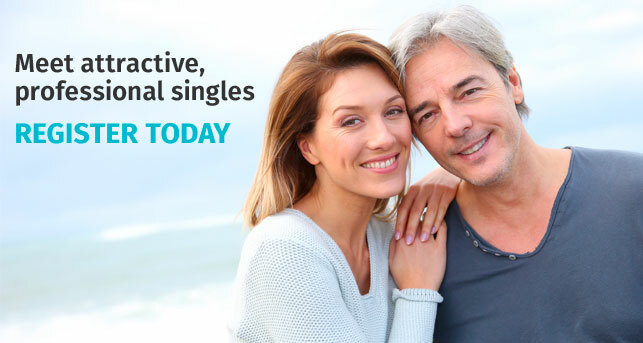 Tired of spending hours on online dating sites and dating apps with limited results? Fed up with the whole online dating scene. Sick of game players & people looking for flings. Let us help you find that amazing person you connect with on every level, by getting in touch with us today. Meet The Love Of Your Life! Why Blue Label Life Dating Agency? Say goodbye to the ups and downs of online dating. Your trusted Blue Label Life dating coach Robyn will combine her flair for playing Cupid with proven matchmaking techniques to help you find the one. See our success stories here. Like you, all of our clients are successful, professional and elite singles in Australia looking for serious relationships. Our online dating compatibility tests find you the right match based on shared interests, values and long-term goals. There is no better way for Australians to find long-term love online than with an elite dating site like Blue Label Life. Call us today on 1300 553 510! 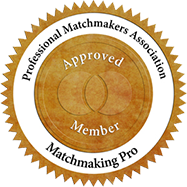 Your dedicated matchmakers in Sydney and Melbourne do everything but go on the date for you! Unlike other dating sites, we perform comprehensive background checks, conduct interviews & screenings, provide quality introductions, offer valuable and insightful follow-ups, date coaching tips and so much more. We make meeting successful singles that you click with an easy, fun and truly pleasurable experience. At every step, your friendly matchmaker Robyn is a confidante, here to listen and offer helpful and expert dating advice. Robyn has extensive date coaching experience in Australia and has helped hundreds of professionals of all ages find long, lasting love. Stop spending holidays like Christmas, New Year’s and Valentine’s Day alone and start living your best life. Speak to our dating experts in Sydney and Melbourne and Find your perfect match online today. "John and I were introduced by Robyn and Blue Label Life. After a wonderful few months dating, we became engaged to be married later this year. We are very much in love and feel so lucky to have found one another. Our friends and family say we are so well suited and that they have never seen us happier. After taking the plunge and contacting Robyn, she made the process so easy. She navigated me through meeting various people with discretion, empathy, wisdom, optimism and humour. She really took the time to understand me and what I was looking for in a life partner. It worked. John and I are now happily planning our wedding and future life together. Sally"
"Thank you Blue Label Life, I have met some amazing women, attractive, intelligent, genuine, and now have found the one!"" "Well it has been a year now and Loretta and I are still going strong. It’s an amazing relationship. I have it all! Thank you for introducing me to my best friend"
""Thank you Blue Label Life, after being married for years, I found myself in a daunting place after my divorce. I wanted to have a good connection in my life but didn't know where to start, I contacted Robyn from Blue Label Life and with their understanding and support and guidance, I found a wonderful man and now have an amazing connection in my life, we are so happy" Natalie"
Are bars not your scene? Are you finding it hard meeting genuine people who aren’t into games or looking for a quick fling? Are you confused about how to find love in this digitally obsessed world? Have you tried dating apps like; Tinder & Bumble without any success? Are you tired over spending countless of hours on dating sites without seeing any results? Are you frustrated over the lack of dates you have versus the time invested in finding love? Are you looking for a matchmaker that will respect your privacy & be completely discreet? If you’ve answered YES to any of these, then it’s time to get in touch with Blue Label Life today. Led by executive matchmaker Robyn Nind, we’re committed to helping our clients find not just anyone, but the one. Since 2005, we’ve transformed the love lives of many Australians. From what were previously known as elite singles looking for love, they’ve now become someone’s husband, wife, or long-term partner. Find out how our elite matchmaking & dating agency service works and sign up today! It's totally free with no commitments but what we can promise you is that when you meet us you'll want to join and be part of our eligible singles all looking for the same thing; a serious partner & a committed relationship. About 250 new people join us every month so if you want to be part of our every growing datadase of successful singles all you have to do is get in touch. Matchmaker V Tinder: what’s best for you? Dating Websites: don’t go there expecting to find love!